Another “season” in our wonderful valley has come to an end. It’s truly hard to believe that summer is here and JFS is already gearing up for next year! Our programs are thriving and our clients are thankful! A brief recap of 2015-2016 happenings will show you why JFS is such an outstanding organization! Michael Childers Incomparable One Night Only! JFS provided over $25,000 in direct emergency assistance so far this year due to the generosity of our grant funders and donors and project another $3,000 before the end of the summer. We will also provide close to $20,000 in free mental health treatment by the end of the fiscal year, as well as countless free hours of senior case management, Shabbat in a Bag , Let’s Do Lunch senior socialization program and, of course all our wonderful school programs! We thank you, our donors, so very, very much for the support and generosity that has allowed us to touch the lives of nearly 4,000 people this year. YOU ARE AMAZING! We so look forward to the return of our wonderful snowbirds in the fall. For those of you who reside in our lovely Valley year round, we will continue to work with you to repair the world throughout the summer…Tikkun Olam! Enjoy a wonderful, relaxing summer season! “ONE NIGHT ONLY” “SONDHEIM IN LOVE” WAS THE TALK OF THE TOWN! 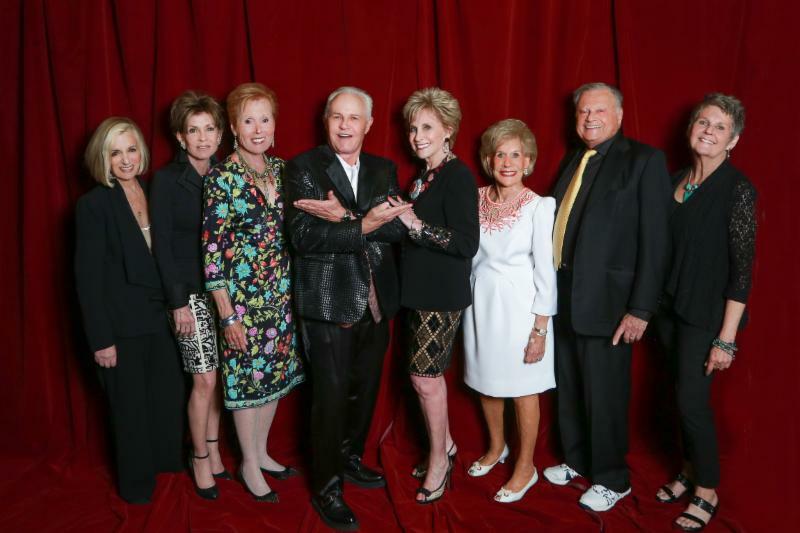 (left to right) Helene Galen, Terri Ketover, Barbara Fromm, Producer Michael Childers,Barbara Keller, Annette Bloch,Harold Matzner and JFS Executive Director Maureen Forman. The McCallum Theatre was the place to be on Wednesday, April 20, 2016! Michael Childers production of “One Night Only-Sondheim in Love” was once again a sensational success! Those who attended the performance were treated to a wonderful selection of the best of Sondheim performed by a spectacular cast including Christine Andreas, Brent Barrett, Liz Callaway, Patrick Cassidy, Brian Childers, Nancy Dussault, Davis Gaines, Jason Graae, Hunter Ryan Herdlicka, Clint Holmes, Barb Jungr, Millicent Martin, Marilyn Maye, Howard McGillin, Julia Murney,Teri Ralston, Lee Roy Reams, James Snyder and Karen Ziemba. This was the ninth production of “One Night Only” benefiting JFS! Many thanks to the incomparable Michael Childers, sensational Director Lucie Arnaz, outstanding Executive Producer Ken Katz and to all the fantastic production crew for making “One Night Only” another spectacular event! Patty & Arthur Newman. We would also like to thank our Producer and Director Sponsors. Keller and Harold Matzner and Event Co-Chairs Barbara Fromm and Terri Ketover. Stay tuned to hear what Michael Childers has plannned for “One Night Only” 2017! Can’t wait!!! The JFS Annual Meeting and Awards Presentation was held at Spencer’s Restaurant to honor Patrons, Board Members, Staff and Volunteers and to install new JFS Board Officers and Board Members. Carol Fragen, outgoing JFS Board President welcomed the guests and thanked everyone for their dedication and support of JFS during her term as Board President. Carol especially thanked JFS Executive Director, Maureen Forman, for being an outstanding Executive Director and guiding the agency in the move to a new and larger office in December 2015. She also thanked Board Members ending their term including Betty Callies, Doug Donenfeld, Joy Kravitz, Bertel Lewis and Mike Stafford. Carol installed incoming JFS Board Officers: Sandy Seplow-Vice President; Aviva Snow-Vice President; Barry Kaufman-Treasurer; Ed Gubman-Assistant Treasurer and Joyce Wolff-Secretary and new JFS Board Members Jerry Fogelson, Margo Halperin, Cathy Molever and Peter Rittenhouse. Carol welcomed Barbara Fromm as incoming Board President. Barbara was sworn into office by Judy Wallis, Past President. Barbara welcomed the new officers and board members and looks forward to working with the extraordinary Board of Directors and professional JFS staff. Carol Fragen, outgoing JFS Board President in recognition of her outstanding leadership, dedication and commitment to JFS. Congratulations to our Board of Directors and Award Honorees! The JFS Campership Committee met to review a number of worthy summer camp applications for Jewish youth interested in attending summer camp. Eleven children (ages 8-16) were awarded scholarships to attend three Jewish overnight camp. Ten children from the Boys & Girls Club of Cathedral City were also awarded camp scholarships to attend Pathfinder Camp. Families have been notified of the committee’s decision and their children are counting down the days to head off to summer camp! 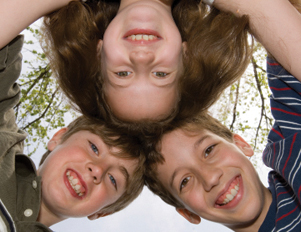 Each year JFS provides camp scholarships to valley children in need as well as scholarships dedicated to Jewish youth ages 8-16 to attend overnight camp. The camp experience helps build self-confidence, personal independence and allows children to make new, often lifelong friendships. Jewish camp helps children develop a better understanding of their Jewish heritage and traditions while creating long-lasting memories and having fun. Many thanks to all of our generous donors who support the JFS Camp Scholarship program and to our dedicated JFS Camp Scholarship Committee members. Applications for 2017 summer camps will be available in December. If you would like more information regarding a camp application or would like to donate to the JFS Camp Scholarship Program, please contact Kraig Johnson, JFS Community Programs Coordinator-(760) 325-4088 ext.101. The JFS Legacy Fund provides individuals and families the opportunity to invest in the future of JFS, leave a lasting legacy and ensure that vital community programs provided by JFS are in place for generations to come! JFS offers a variety of giving plans that incorporate long term financial, tax, estate planning and charitable goals while providing support for those most in need in our community. A legacy gift can support a specific JFS program such as mental health, children and families, seniors or directed to where there is greatest need. Jerry & Elaine Morgan and Carol Cornell as JFS Legacy Leaders for their visionary leadership in improving the lives of others through their legacy gift. Stay tuned for more exciting news in the fall regarding a generous matching pledge! JFS Awarded Kovod Award AFJCA Annual Conference! At the 44th Annual Association of Jewish Family and Children’s Agencies (AFJCA) Conference held in San Diego, JFS was awarded a 1st Place Kovod Award for best agency video of agencies of our size. Please follow the link below to see our award winning Public Service Announcement! 2018-2019 Event Season: for info call (760) 325-4088, ext.107 Please click on event below for further information.